It’s hard to believe that Haemi began life on a dog meat farm in South Korea. Rescued by Humane Society International, along with 26 other dogs, this 3-month-old mastiff mix puppy is joy personified. WASHINGTON — It’s hard to believe that Haemi began life on a dog meat farm in South Korea. 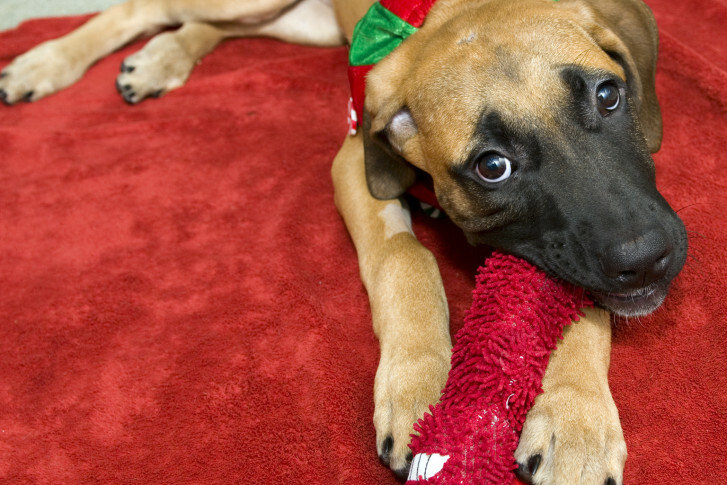 Rescued by Humane Society International, along with 26 other dogs, this 3-month-old mastiff mix puppy is joy personified! She’s happy, energetic, and playful … everything a puppy should be. Haemi loves toys, especially those that squeak, and will toss them in the air, roll on the floor with them and climb in your lap to chew them. 2015 Pets of the Week: Where are they now? Monday is a special day in the WTOP newsroom. That’s because the station gets to kick off the week in the company of an adorable animal from the Washington Animal Rescue League, in hopes to find them a forever home. Here’s a look back at all the pets WTOP featured this year, and where they landed after their radio debuts. But her days as a lap dog are limited. Although she’s small now, Haemi will likely top 100 pounds when full grown. She’s looking for a home with people who will give her lots of attention and exercise and who will provide the guidance and training necessary to help her become a well-adjusted, mannerly adult dog. 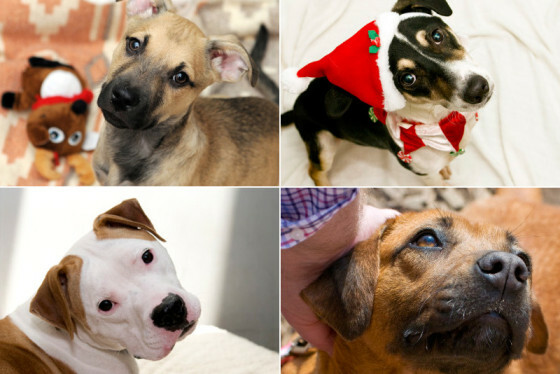 If you’re interested in meeting Haemi or any of the other wonderful animals looking for homes for the holidays — and forever — stop by the Washington Animal Rescue League.